This combo is a good hybrid between surf suit and bikini. I'm partial to the cropped long sleeve versions. The added benefit to some of these rashguards is that SPF is built in (particularly in the Seea ones) so you get great sun coverage and it also helps prevent chaffing on the tummy while on the board. These are probably the most versatile in my opinion. When I'm around the water I wear them to do yoga on the beach, SUP paddle, and even out and about after to run errands. Throw a tee on over them and they just look like active leggings, not necessarily swimwear, which can be awkward to wear in public. The Salt Gypsy ones are my favorite but they are currently sold out. They recently tweaked the waistband to be more comfortable and I live in them when I'm around the water. Keep an eye out for spring/summer to drop soon. Neoprene is a great option because it helps with buoyancy in the water and also regulates body temperature well. No need to put on a full wetsuit when a neoprene/scuba bikini will strike the perfect balance between function and style. 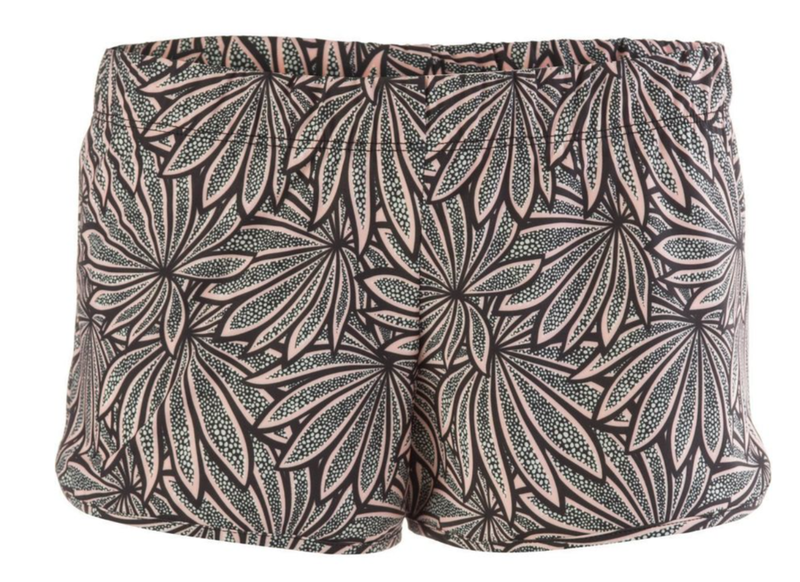 When I think of board shorts I think of really long, almost to the knee, stiff shorts that all my guy friends would wear to surf in NJ in the 90s. Now, lucky for us, there are more feminine cuts made for sporty women. These are a great option because they keep you cool out on the water but also provide enough coverage if you like getting upside-down on the board.